Nelson Mandela’s autobiography has finally been taken to the big screen – and we’ve got the first look at the exciting new movie. 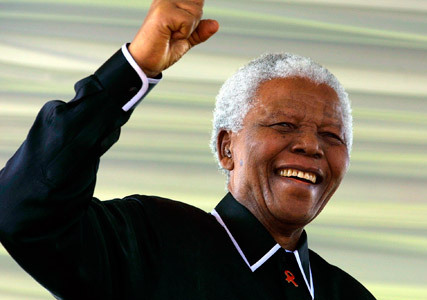 Mandela: Long Walk To Freedom follows the 94-year-old’s life from his childhood in a rural village through to his inauguration as the first democratically-elected President of South Africa. It’s described as the ‘thrilling story of an ordinary man who rose to the challenge of his times and triumphed – an intimate portrait of the making of a modern icon.’ Wow. The epic movie is being labelled the largest ever South African film production ever made and has the full support of Nelson Mandela, the Nelson Mandela Foundation and the Nelson Mandela Centre of Memory. 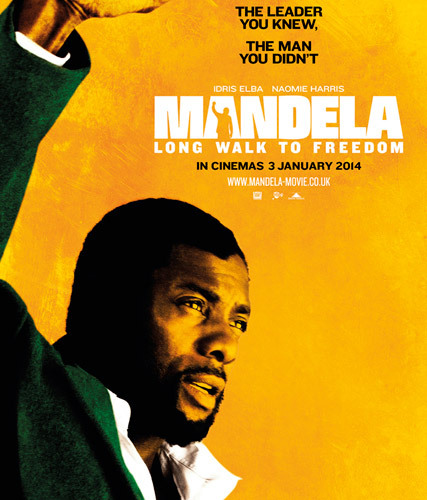 Mr Mandela is said to have entrusted his life story to South African producer Anant Singh in the face of fierce competition from major international studios. And it turns out that Singh spent 16 years developing the film before it began shooting in May 2012. This is definitely going to be good. Thousands of locals participated in the making of the film, both behind and in front of the camera, alongside British stars Idris Elba and Naomie Harris. We’re loving the trailer and the first look at the posters. Roll on January.